August | 2018 | COMMUNITY ACTION ALLIANCE FOR NSW (CAAN): HOUSING INEQUALITY WITH AUSSIES LOCKED OUT! Morrison’s ministry was assembled within two days of his win, a fast turnaround for someone not expecting to become prime minister. It includes sacked former ministers Sussan Ley and Stuart Robert, both of whom are believed to have supported him. They have been returned to the outer ministry despite having been demoted under Turnbull following controversies over their use of ministerial office and despite Morrison insisting the incoming leadership team of himself and Victorian Josh Frydenberg represent “a new generation”. Prime Minister Scott Morrison announcing his new ministry last weekend. Scott Morrison planned his assault on the Liberal Party leadership for months, according to senior cabinet sources. The story of how he replaced Malcolm Turnbull is one of ambition, doublecrossing and outfoxing, with Home Affairs Minister Peter Dutton as an unwitting stooge. Last week, while positioning himself as a compromise candidate, Morrison and his supporters played off Dutton and Turnbull against each other. Only now have their key supporters realised what happened. They believe both contenders had been undermining Turnbull with their own ambitions in mind and, in Dutton’s case, with at least the tacit support of Finance Minister Mathias Cormann. Cormann denies this. Senior figures told The Saturday Paper that before last month’s Longman byelection in Queensland, Turnbull wanted to dump his plan to legislate tax cuts for the biggest companies in Australia – effectively the big banks – because it was clear they would be electoral poison. But two senior cabinet colleagues opposed him: Morrison and Cormann. The poor showing in Longman became the catalyst for a leadership challenge. The Liberal National Party recorded an appallingly low vote and, since then, some colleagues say the two contenders’ camps have been jockeying to be best positioned for when the time was right. A week before the final challenge, Dutton gave an interview to Radio 2GB host Ray Hadley and set the leadership hares running. It was more than 24 hours before he issued a Saturday statement on Twitter – at Cormann’s urging – pledging his ongoing support for Turnbull. But the media frenzy had begun. CAUGHT OFF GUARD AND WITHOUT TIME TO LOBBY, DUTTON’S SUPPORTERS WERE JUBILANT AT HOW WELL THEIR CANDIDATE HAD DONE. Turnbull shifted a scheduled Sunday cabinet dinner from The Lodge, where ministers would have had to run the gauntlet of cameras and shouting journalists, to the relative privacy of Parliament House. The Saturday Paper understands Dutton had told Turnbull he couldn’t get from Brisbane to Canberra in time for the meeting, so Turnbull sent an RAAF VIP aircraft to get him. Cabinet colleagues noted that Dutton and Cormann both arrived late, at the end of dinner. Between Sunday night and Tuesday morning, then prime minister Turnbull realised the rumoured moves against him were genuine. Queensland backbencher Luke Howarth told colleagues privately on Monday that he planned to stand up in the party room the following day and ask Turnbull to step down. He confirmed this to The Saturday Paper this week. When word reached Turnbull, he judged it to be part of a bigger plot, so he made a plan to head it off. Turnbull began the Tuesday morning party room meeting talking about the national energy guarantee. He gave his usual discursive address and then suddenly changed tack. “Things can’t go on like this,” he told stunned colleagues, then blindsided them further by vacating the two leadership positions and announcing a ballot on the spot. “People who were drinking coffee spat it out,” one MP says of the shock. Party whip Nola Marino had been alerted and the ballot papers were ready. MPs were furiously texting – some assumed they were texting journalists and some were. But Dutton’s and Morrison’s supporters were, it seems, also texting each other across the room. Dutton stood against Turnbull, securing 35 votes to Turnbull’s 48. It was a stunningly high vote for a challenger from what looked like a standing start, and a diabolical miscalculation for the incumbent prime minister. The difference of just 13 votes meant only seven MPs needed to switch for Turnbull to be out. The size of Dutton’s vote guaranteed that far from being resolved, or even eased, the crisis only worsened for Turnbull. It shocked just about all involved – certainly both Turnbull and Dutton. It appears the person least shocked may have been the then treasurer and now prime minister Scott Morrison. After a week of disentangling what actually happened, some within both the Dutton and Turnbull camps have reached the view independently that the reason those first numbers for Dutton were so high had less to do with Dutton becoming prime minister than with installing Scott Morrison instead. Supporters for both Dutton and Turnbull say they believe it was actually Morrison’s backers who secretly forced matters to a head, voting for Dutton in the first ballot to boost his numbers and generate a crisis for Turnbull, while intending all along for their man to prevail. Although it was the actions of Dutton and then Turnbull that sparked the events of last week, sources in both camps have concluded that the outcome was likely engineered by Morrison’s supporters from the beginning. One MP pointed to the five extra votes that were lodged in favour of the spill motion that were unaccounted for among Dutton’s supporters. Turnbull’s supporters and those who did not want another leadership ballot voted against it on Friday morning. They numbered 40, but with 45 in favour, they lost. In the leadership ballot that followed – after Julie Bishop was swept out with just 11 votes and not a single one from her Western Australian colleagues – Dutton secured 40 votes to Morrison’s 45. Bishop’s betrayal by her WA colleagues – and many fellow moderates – left her so disillusioned that she would announce she was quitting as foreign minister two days later. Back in the party room, what persuaded some MPs that a tricky, hidden power play was under way was the result in the threshold vote on whether to have the second ballot at all. “The telling vote was the 40 to 45 [in favour of the spill],” an MP says. Several sources also confirmed that New South Wales Liberal Party powerbroker and lobbyist Michael Photios, a supporter of Morrison’s, was instrumental in the manoeuvring during the week. One person not linked to either camp says Photios was deeply involved. Multiple sources also confirm his business partner and former NSW Liberal Party president Nick Campbell helped, along with Morrison’s usual numbers man, Alex Hawke. Hawke did not return calls before time of press. Some who wanted Dutton as prime minister are bitter that his lieutenants – Victorian MP Michael Sukkar, South Australian Tony Pasin, ACT senator Zed Seselja and others – bungled the process, wrongly assumed they had the numbers and were played for mugs. It’s understood that Sky News commentator Peta Credlin, former chief of staff to ex-prime minister Tony Abbott, was advising them in the background. The Saturday Paper understands that even after the first vote on Tuesday, Dutton told close colleagues he was still inclined to wait and gather more support for a second challenge when parliament resumed in a fortnight. But his numbers men persuaded him he needed to move fast – a move that would ultimately benefit Morrison. Another MP, who is angry at what is now believed to have been a clever game of doublecross, says Morrison’s tacticians played “rope-a-dope” with the home affairs minister. Mathias Cormann’s public shift against Turnbull was instrumental in hastening the prime minister’s downfall. Cormann visited Turnbull on Wednesday and told him his support in the party room had collapsed. It was at this meeting that Turnbull is understood to have told him his switch was akin to giving in to terrorists. Cormann is believed to have responded that he had no choice. Others say Cormann did have a choice and it was the choice he made that finally tipped the balance. But Cormann has insisted privately that even after the first leadership ballot he was trying to bring Dutton and Turnbull together. After his meeting with Cormann, Turnbull called a news conference, insisting both Cormann and Morrison accompany him. There, he announced he was dumping the top-end tax cuts and reversing plans to scrap the welfare supplement that was originally compensation for the carbon tax that had since been repealed. If Turnbull lost his leadership, he would not let his successor get the benefit of announcing the policy change he had wanted all along. He also ensured both men would be asked to pledge their loyalty to him – publicly – which they did. Morrison even put his arm around Turnbull as proof. That night, Cormann went back to see Turnbull, accompanied by cabinet colleagues Mitch Fifield and Michaelia Cash – who Turnbull had defended throughout her own recent political difficulties. All withdrew their support. Cormann’s public declaration on Thursday morning that Turnbull had lost majority support, made alongside Fifield and Cash, was what guaranteed a second ballot. “It’s with great sadness and a heavy heart that we went to see the prime minister yesterday afternoon to advise him that, in our judgement, he no longer enjoyed the support of the majority of members in the Liberal Party party room, and that it was in the best interests of the Liberal Party to help manage an orderly transition to a new leader,” Cormann said. Turnbull had called a series of meetings the previous night, including with his treasurer, Scott Morrison. Morrison and his supporters had made it known earlier in the week that he would not be a candidate if Turnbull was going to stand. But Morrison was willing to position himself as an alternative to Dutton once Turnbull was out of the race. On Thursday, Turnbull indicated he wouldn’t run if the numbers were against him, but gave colleagues mixed messages on whether he would change his mind. It seems Morrison was already making calls, offering himself as a better alternative than Dutton. In order to become a candidate, Morrison needed Turnbull to concede defeat and not contest the leadership again. He wanted to take the leadership with clean hands, not burdened by having brought down a prime minister. It is not clear exactly who persuaded Turnbull that he no longer controlled his own parliamentary party, but whoever did was wrong. Turnbull decided that if the plotters could prove at least 43 MPs, of a possible 85, wanted a second leadership ballot, he would call a meeting for Friday at noon and hold a vote on whether there should be a second spill for the week. If most were in favour, he would step down. Some of Turnbull’s supporters began drumming up support for Morrison. “Malcolm believed that Scott was part of his Praetorian Guard,” one colleague says. The delay, designed only to force the traitors to put names to their intentions, also gave Morrison extra time to lobby. On Thursday afternoon, Julie Bishop indicated she would be a candidate. It’s understood she told colleagues she only did so once she was certain Turnbull would not run. A series of encrypted WhatsApp messages leaked to the ABC’s Insiders program on Sunday revealed that moderate Liberals who might have been inclined to vote for Bishop were being urged to back Morrison instead. The argument, put in a message from NSW Liberal Paul Fletcher, was that Cormann was “rumoured to be putting some WA votes behind Julie Bishop in round one”. That meant Bishop ran third and dropped out, leaving a contest between Morrison and Dutton. The leaked messages also show Christopher Pyne saying he had warned Bishop. She has told others he didn’t. 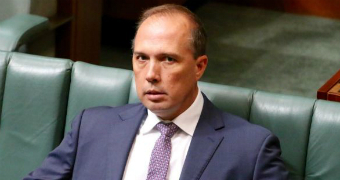 What did not become clear until after Friday’s final vote – way too late for Turnbull – was that despite the 43 signatures, Dutton never had majority support. In the end, Morrison won 45 to 40. Morrison’s ministry was assembled within two days of his win, a fast turnaround for someone not expecting to become prime minister. It includes sacked former ministers Sussan Ley and Stuart Robert, both of whom are believed to have supported him. Cormann has lost part of his portfolio – the special minister of state dimension overseeing electoral issues and parliamentary expenses – to Morrison loyalist Alex Hawke. Dutton’s junior henchmen are out. A byelection is now expected in the prized Sydney seat of Wentworth as Malcolm Turnbull bows out of politics. For the time being, Julie Bishop is staying in her own prized WA seat of Curtin. Close confidants say that’s to keep Attorney-General Christian Porter, whose own seat is very marginal, and Senator Cormann from trying to move in. And Victorian Liberal MP Julia Banks, the only Liberal to win a seat from Labor at the 2016 election, announced this week that she won’t contest the next election – citing bullying, intimidation and harassment generally, and particularly through last week’s leadership turmoil. Prime Minister Scott Morrison says he’ll have no truck with such thuggish behaviour. “One of the things we are moving quickly to do is ensure we restore that strong culture in the Liberal Party and bring the party together and show the stability and unity that is necessary, that Australians are looking to me to provide,” he said. This article was first published in the print edition of The Saturday Paper on Sep 1, 2018 as “How Morrison played everyone”. Since peaking in September 2017, prices have fallen by 0.1 per cent in Sydney … not of much help to Australian First Home Buyers! Australian home prices have continued to drift with declines reported across a majority of mainland state capitals. Research from property data firm Corelogic has indicated that median home price have declined by 0.1 per cent in average weighted terms, leaving the decline over the past for weeks at 0.4 per cent. Since peaking in September 2017, prices have fallen by 0.1 per cent in Sydney, Melbourne and Brisbane over the week while Adelaide managed register an increase of 0.2 per cent. Adelaide’s prices have now risen 0.7 per cent over the year with Brisbane also seeing a 0.3 per cent increase. Comparatively, values in the other state capitals have all fallen by 2.2 per cent or more in Perth, Sydney and Melbourne. 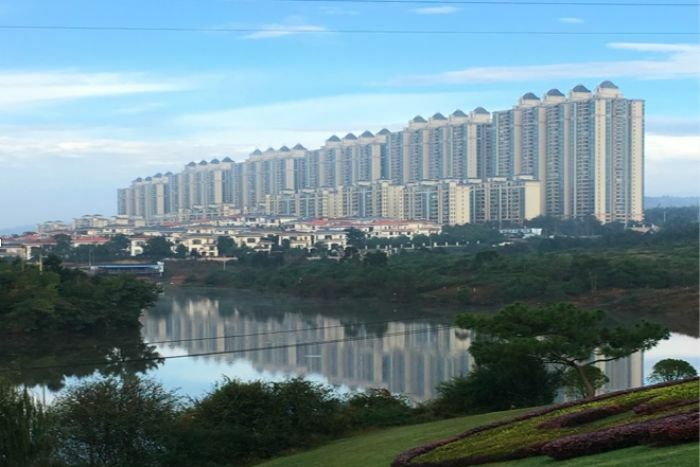 Combined, the median price in the mainland state capitals has fallen 2.7 per cent so far this year in average weighted terms. In Sydney, Perth and Melbourne median values have fallen by 5.6 per cent, 2.2 per cent and 1.6 per cent respectively over the past year, leaving the national decline at 3.1 per cent. 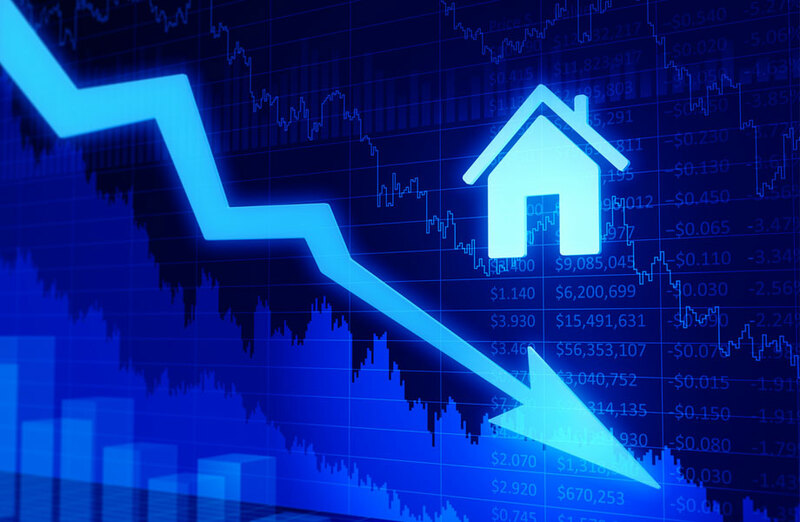 The trends across Australia’s regional housing markets – which have previously been more resilient to falls – have recently turned negative. Melbourne has lead the downturn across capital cities in its monthly change, outpacing Sydney. There are currently 22.3 per cent more homes up for sale in Sydney compared to a year ago, and 12.2 per cent in Melbourne, contributing to a 7.6 per cent national increase over the same period. Listings have also increased in Brisbane, offsetting declines in all other capital cities. While total listings have risen sharply in Sydney and Melbourne, new listings have actually fallen by 7.2 per cent in Sydney, and 6.5 per cent in Melbourne, compared to 12 months ago. Nationally, 110,104 properties were put up for sale over the past year with 23,631 new listings put up for sale within the last six months. WaterNSW says that housing and land developments need to start considering the impact building is having on water supply. 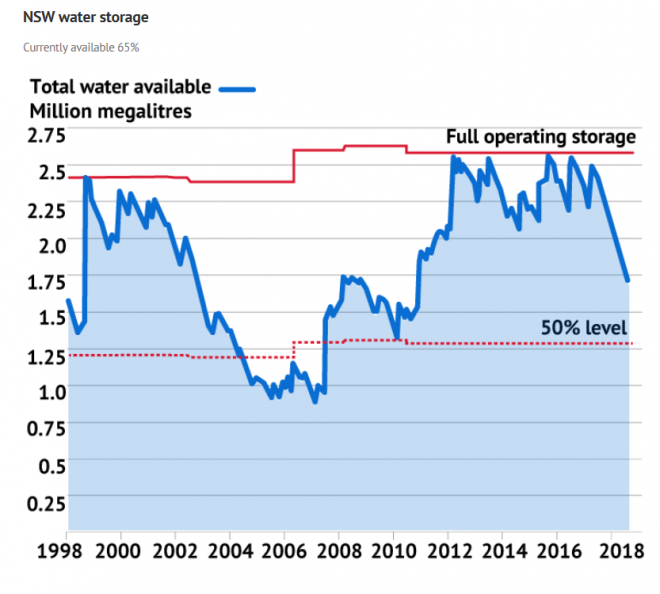 It is investigating “water augmentation strategies” to service the booming population…WHY should we sacrifice our water supply, and its quality … pay more for desalination to fill the coffers of those forcing “A Big Australia” on us?? NOT only high immigration but 1.4 million Visa holders currently in Australia … and this persists! ANOTHER MAJOR THREAT TO SYDNEY WATER! -the reason that has been given is for flood mitigation downstream …. what it is about is facilitating even more OVERDEVELOPMENT! THE GREATER SYDNEY COMMUNITY must UNITE to oppose all these threats to Our WATER! 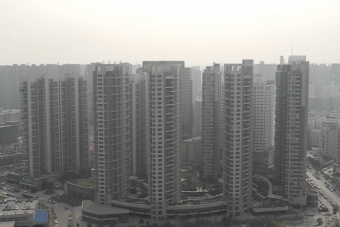 Storages held enough water to supply the city’s population “for another two years – even without any rain at all over that period,” he said, adding that authorities “have planned for drought conditions”. Justin Field, the Greens water spokesman, said “It makes sense to bring in stage 1 water restrictions earlier to reduce the likelihood of more extreme restrictions down the track”. 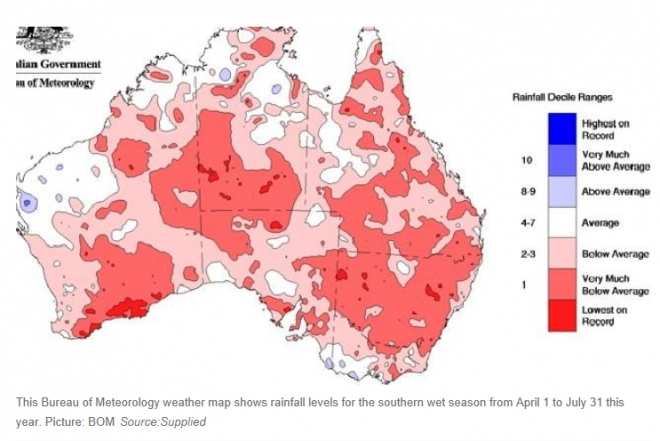 Water scarcity is the elephant in the room of the population debate, and an issue Australia’s mass immigration ‘Big Australia’ boosters conveniently ignore. The Bank’s forecast is that, as the labour market continues to tighten, wages growth should gradually pick up, and along with that we would expect market services inflation to also increase. However, as we have noted on a number of occasions, there is considerable uncertainty about the extent of unutilised capacity in the labour market and how quickly a reduction in spare capacity would translate into higher wage and price inflation. It is possible that the unemployment rate could fall faster than expected and wages growth could pick up more strongly as a result. Alternatively, it is possible that the flow of new workers into the labour force could continue to be stronger than usual, so that unemployment declines more slowly than we expect and wage pressures could take longer to emerge. Clearly, the primary driver of “the flow of new workers into the labour force”, which has caused unemployment to “decline more slowly” and caused “wage pressures… [to] take longer to emerge” is immigration. That’s what happens when 200,000-plus migrants are added to the economy every year, most with work rights, thus ensuring labour supply is continually expanded. There is a close inverse relationship between underutilisation and wages growth (chart 5). As underutilisation rises (falls) wages growth falls (rises). 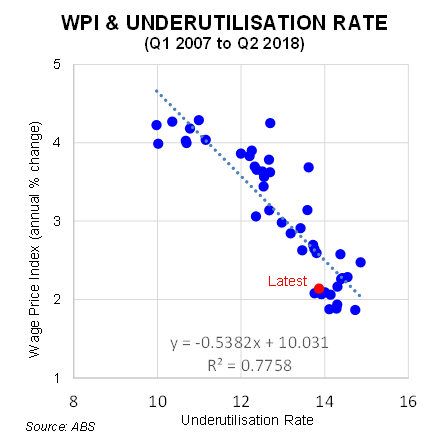 The fitted line on chart 5 implies that for an underutilisation rate of 14%, wages growth, as measured by the WPI, should be around 2½%pa. In other words, most, but not all, of the current weakness in wages growth can be explained by a high level of labour market underutilisation. Slack in the labour market is elevated in Australia because the supply of labour has exceeded the demand for workers. Policy has played a role. The decision to run a very high immigration program by OECD standards (charts 6 and 7) has augmented the supply of labour and pushed up the participation rate beyond what would have naturally occurred. That intensifies the competition for existing jobs while of course also adding to the demand for labour. So there is both a supply and demand impact. 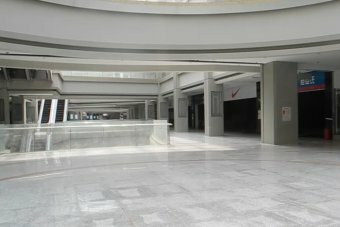 The recent evidence suggests that running a high immigration program when there is plenty of slack in the labour market means that “skill shortages” are not able to manifest themselves as quickly as they might have otherwise because employees are able to hire from abroad in sizeable quantities. The relatively high intake of skilled workers looks to be a pre-emptive strike on the expectation that there will be skills shortages in the future. If there was widespread skills shortages then wages growth would be higher than its current rate of 2.1%pa. Various Productivity Commission modelling has also shown that immigration lowers the wages of incumbent workers (see here). These results were confirmed recently by modelling from Victoria University (see here). International analysis from the Bank of England and Cambridge University also shows that immigration reduces wages growth (see here). The economics is simple: continually increasing labour supply via immigration necessarily reduces workers’ bargaining power and ergo wages growth. Again I ask: why isn’t Australia’s union movement up in arms at Australia’s mass immigration ‘Big Australia’ policy, which is not only eroding workers’ conditions and pay, but also pushing-up their cost of living via housing as well. 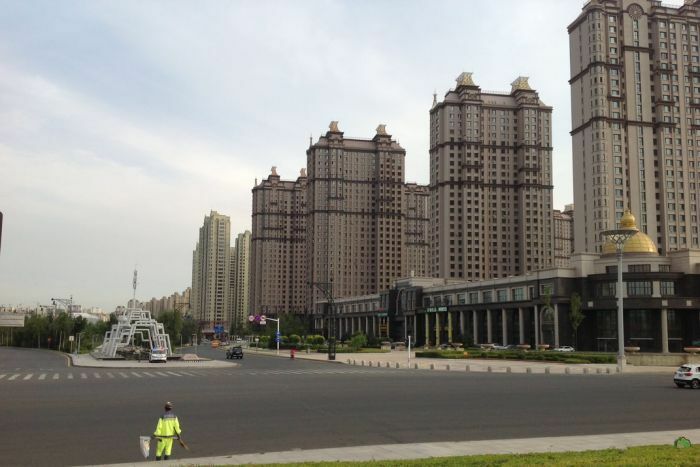 64 MILLION EMPTY APARTMENTS IN CHINA! 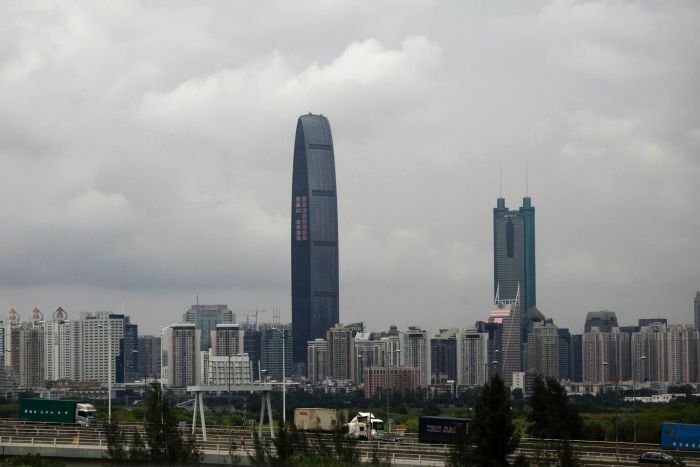 WHY doesn’t the Australian government learn from the impending disaster that is China? 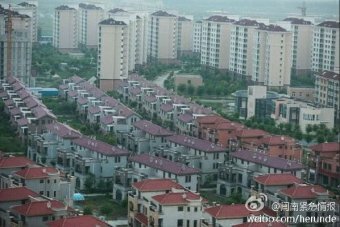 WITH its economic growth dependent on the accumulation of debt used to build excess apartment precincts … it is no longer sustainable! ISN’T it time Australia moved up the Value Chain into more technologically advanced industries? THAT INNOVATION is the way of the future for our Economy? OR have we forgotten something? Like our manufacturers moved offshore for profit gain, and Australia has been seized by the Property Council!! 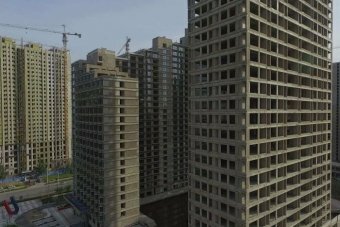 Buying an apartment is proving more expensive in China’s main cities than Sydney or Melbourne, which is bad news for young people who are expected to own property before they marry. A clear answer is needed to the question of whether Mr Abbott and Mr Joyce were offered payment as part of their special envoy roles. Mr Morrison, Mr Abbott or Mr Joyce could each easily answer that question. If payment was indeed offered as part of the roles, the only way the issue of disqualification could be decided authoritatively is for the House of Representatives, where the government has a slim majority, to refer Mr Abbott and Mr Joyce to the High Court. It is unlikely the government will refer them to the High Court, and quite likely that the opposition will pursue the issue — and also Peter Dutton’s potential section 44 problem — when parliament resumes in September. The Prime Minister’s offers may have been a clever way to keep these two former leaders busy and put their abilities to use. But these jobs may have inadvertently rendered both Mr Abbott and Mr Joyce disqualified from parliament under section 44 of the Constitution. That section disqualifies any MP who accepts a paid job in government that is not a ministerial position. Special envoys are not ministerial positions. 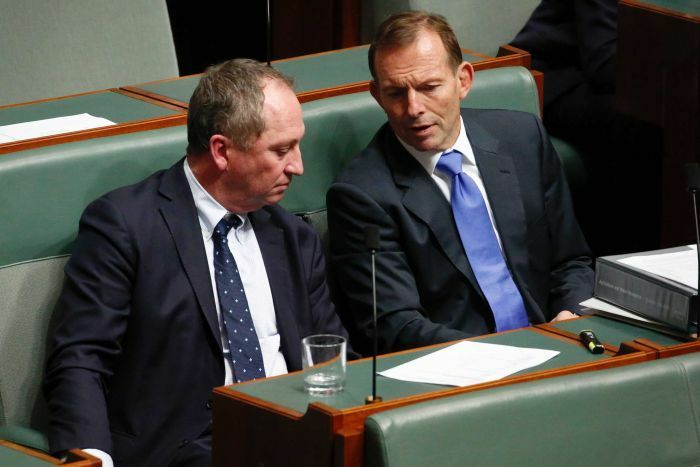 Neither Mr Abbott nor Mr Joyce is part of the Morrison ministry. Their roles are to work with the relevant ministers and the prime minister to advance policy in these respective areas. The precise details of what they will be doing are not yet clear. It’s possible Peter Dutton is in breach of the constitution because of a family trust — and if the High Court were to find him so, it would cause yet another headache for the Government, writes Anne Twomey. Is the position of special envoy ‘of profit’? Hadley had not asked Mr Abbott about payment. Mr Abbott simply made the comment off his own bat. This all suggests that Mr Abbott may have been offered remuneration for the special envoy job, but decided to decline that offer. 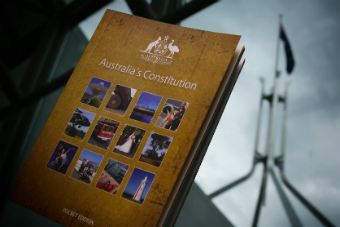 What is it about section 44 of the constitution that keeps tripping up our politicians? Matthew Doran explains. Luke Beck is an associate professor of constitutional law at Monash University. Luke Beck is a member of the Australian Labor Party. This article reflects his views as a constitutional lawyer. “I’ve never seen a CEO vote before where we had a split chamber,” Cr Wearne said at the July 9 meeting. Councillors who voted for Mr Stapleton included Liberals Steven Issa, Martin Zaiter, Bill Tyrrell, Benjamin Barrak, Andrew Jefferies and Sameer Pandey, as well as Labor representatives, Pierre Esber and Paul Han. Many of the claims in the application, which is riddled with poor grammar and syntax, are unverifiable. The application includes diplomas in “commercial estate” and accounting, from unnamed institutes of technology and community colleges. that is looking to, it seems, indentured tenancy for a Whole Cohort of Australians. Not only are they proposing “Build-to-Rent” but a sub-market of “Co-Living”; to live under one roof with a landlord leasing out rooms in an apartment complex with communal areas, services of cleaning and laundry, and a host to organise group activities … all included in the rent. 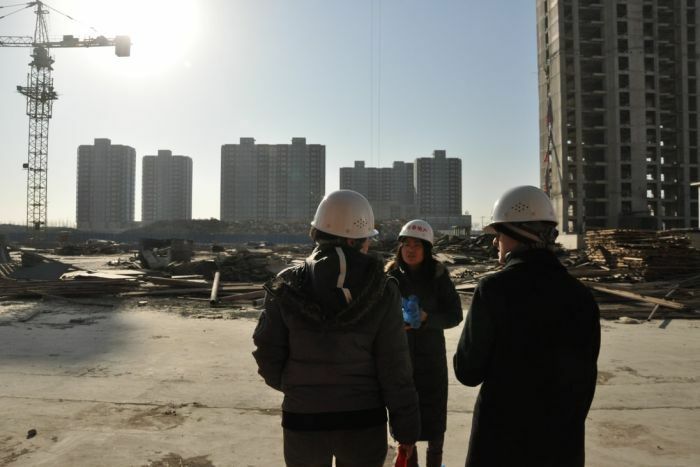 With the housing boom alleged to be in decline (despite RE Agents now on the ground across Asia; a delay to medium-density housing until after the March 2019 NSW Election) co-living is now set to also gain traction! Prices for a room start from $525 a week, depending on the room type. 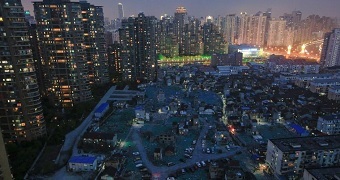 HERE’s the not so funny punchline … will there be “coffin homes” across our cities? “… I do like to be optimistic that councils and regulations around this type of building may relax when it comes to DA (development application) requirements and maybe even room-size requirements. UKO is set to launch in Stanmore in late September 2018. EVERYONE! Please share and tag ALP MPs, the Australian Labor Party, Australian Labor Party Supporters, NSW Labor, Luke Foley MP, Michael Daley MP and others! FAINE: And congestion is directly tied to immigration which was one of the drivers for the Liberal Party’s unrest last week. SHORTEN: Well first of all, I understand the frustration of Australians about crowded infrastructure, and our immigration should be what’s in the national interest but part of that debate has to be fixing up our infrastructure. FAINE: But this is about people’s concerns as cities become increasingly congested, people’s response is not to blame politicians for the failure to deal with infrastructure but instead to turn around and say let’s cut immigration. Does Bill Shorten want to cut immigration? SHORTEN: It’s not a simple yes or no issue. If we can take people in based upon our infrastructure, based upon the moving to the regions that’s a plus. FAINE: So you agree with Alan Tudge, the newly sworn-in Minister, who says let’s try and get migrants to go to the regions rather than Sydney and Melbourne. SHORTEN: Yeah I think that there is – and it’s not just the regions. You know, South Australia, there are plenty of places who would like to take some migrants. Immigration has been good for Australia but there’s no point in bringing in masses and masses of people if our infrastructure isn’t keeping pace. So I guess what I’m saying is you can’t just look at one part of it. We’re an immigrant nation and immigration has been good. Jon your family, my family, pretty much anyone other than a first Australian came from somewhere else. But having said that we’ve got to make sure that we’re not you know just being ignorant of what happens if we’re overcrowding our cities so that’s why you’ve got to deal with the frustration people have on infrastructure. 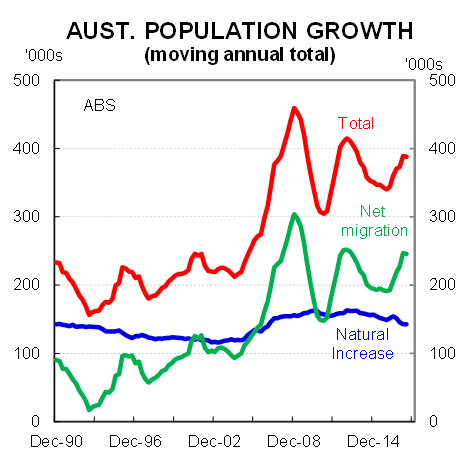 Labor’s inequality agenda would be greatly strengthened by also halving the permanent migrant intake – i.e. returning it back to something more in line with the historical average. Income inequality and home ownership would be improved as there would be less upward pressure on house prices, particularly in Sydney and Melbourne, and less economic rents flowing to the owners of capital (who benefit the most from mass immigration while ordinary residents bear the costs). Wages growth would also improve, other things equal, as there is less competition for jobs and workers’ bargaining power is increased, which would also help to reduce inequality. There would be less youth unemployment, as employers are incentivised to hire and train young workers and graduates rather than taking the easy route of importing a migrant. Australia’s economic growth and job creation would also become more broad-based and less concentrated in inner Sydney and Melbourne. 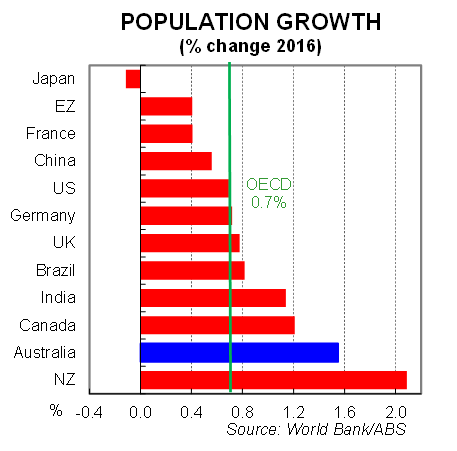 Lower population growth would take pressure off interest rates and the currency. Thus, the Australian dollar would fall more quickly than otherwise helping to cushion the post mining-boom adjustment as tradable sectors become more competitive more quickly. This would spread benefits much more widely than just the “citizenship export” sectors of education, as well as simply piling more unproductive consumers into Sydney and Melbourne (blowing the current account deficit and increasing debt). 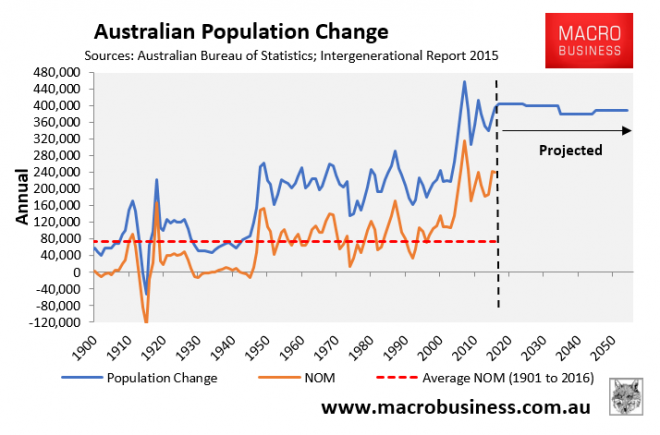 Lower population growth would also lift productivity and income by decongesting cities and, over the long-run, shares the depleting Australia’s fixed national endowment of resources among fewer people, also ensuring higher income per capita. 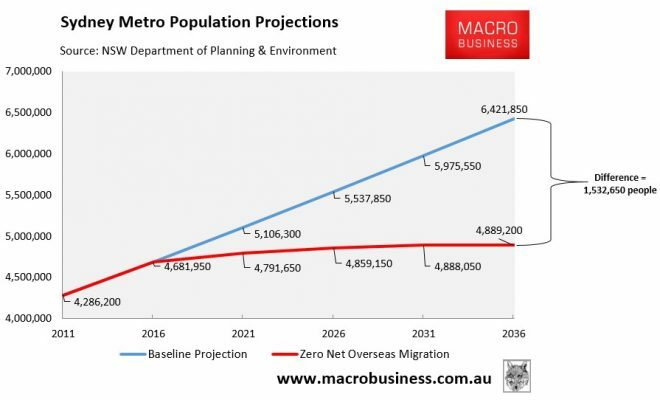 Labor needs to ask itself: how is maintaining a mass immigration program – which is projected to flood Sydney and Melbourne with 87,000 and 97,000 people a year respectively for decades to come – compatible with a fairer, more sustainable and socially cohesive Australia? Such turbo-charged immigration necessarily will make housing affordability worse, dilute workers’ bargaining power, enrich the capital owners and wreck overall livability (e.g. via worsening congestion). From 2012 to 2021, the AUSTRALIAN aid budget fell by 32% while all other government spending increased by 31%. Australia’s aid budget, as a proportion of national income, is the lowest it has ever been. And Pryke, director of the Lowy Institute’s Pacific Islands program, said Australia’s aid program was not well understood by the public. A Lowy Institute poll this year found Australians believed the government spent about 14% of the federal budget on aid funding, and should reduce that figure to 10%. Australia actually spends 0.8% of its budget on aid. “We think of ourselves as a generous country, and that our aid program will reflect that,” Pryke said. China’s aid spending in Papua New Guinea – with its focus on infrastructure and “few-strings-attached” concessional loans – risks eroding Australia’s influence in the country, with Australian aid sometimes viewed as paternalistic and unwieldy. A Deakin University submission to a parliamentary inquiry, based on interviews with Papua New Guinean business, political, academic and community leaders argues Australia risks being diminished by rising Chinese spending. PNG is Australia’s closest neighbour, and for reasons of proximity and a shared history – PNG was under Australian administration until 1975 – Australia has been its most significant international partner. 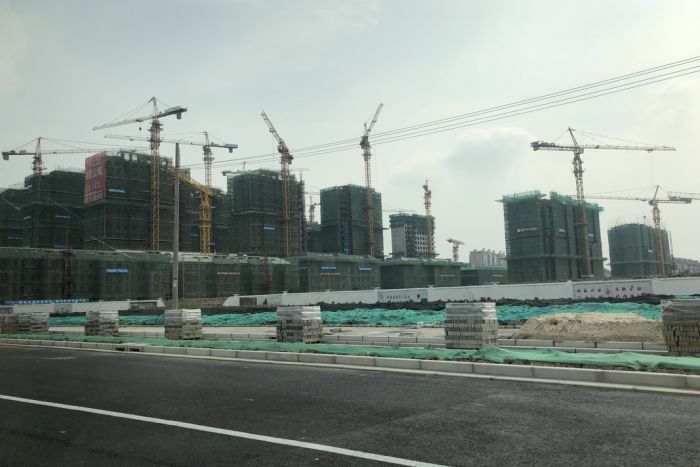 But China has recently dramatically increased its aid spending in PNG, with a particular focus on signature pieces of infrastructure and concessional loans. There was a view from some respondents that Australian aid – highly accountable, and focused on the human sectors, such as education, health and gender – was sometimes seen as paternalistic. “It was also noted that ‘Australia’s influence has diminished considerably as a result of the rise in Chinese aid flows to PNG,” the submission says. One of the authors of the submission, Prof Matthew Clarke, told the Guardian China’s aid to PNG was recognised there as a vehicle for increasing Beijing’s influence in the country, its trading sphere and leverage in the region. “When it talks to PNG, China talks about a ‘south-to-south’ relationship,” Clarke said. “It sees itself as being a developing economy, as much more of an equal partner, which is well-received in PNG. Clarke said the PNG government was pragmatic about aid, and willing to play one donor off against another in order to achieve a desired outcome. “There are probably two broad lessons: that this is not an issue that just involves Australians and China – that the voices and views of Papua New Guineans must be considered. If we fail to listen, we won’t have a good outcome,” he said. The parliament’s joint standing committee on foreign affairs, defence and trade is undertaking an inquiry into the effectiveness of Australia’s aid in the Indo-Pacific region and “its role in supporting our regional interests”. Australia is the largest aid donor in the Pacific, with 90% of its $3.9bn aid budget directed towards partners in the Indo-Pacific. 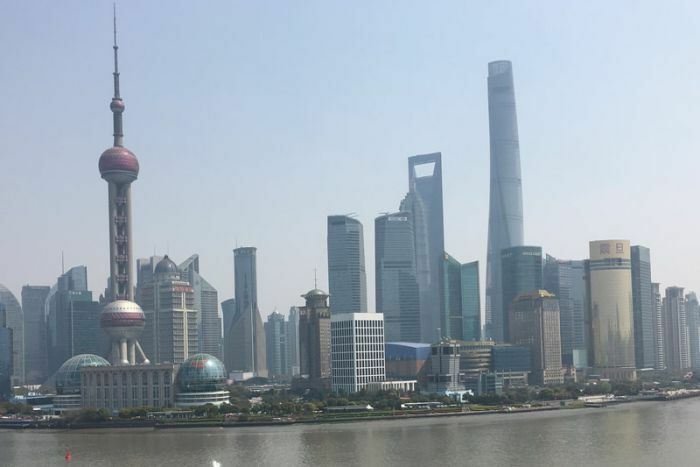 But China’s growing interest has been followed by reports of plans to build military bases in countries such as Vanuatu, and its assertiveness in militarising atolls in the South China Sea is seen as a template for increased military influence. Australia remains the dominant aid partner. The Lowy Institute estimates that between 2006 and 2016, Australia has dedicated $7.7bn in aid to the region, dwarfing China’s $1.7b. 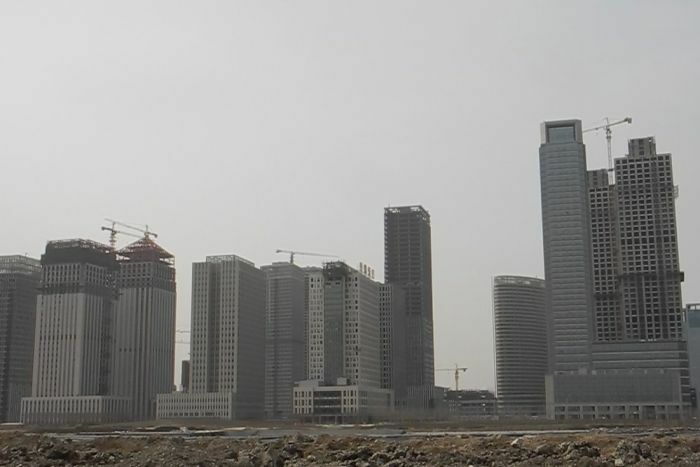 However, there are concerns over China’s rising interest. The foreign minister, Julie Bishop, said small states in the region could be harmed by unsustainable debt through aid “loans”, with debt-for-equity swaps imperilling their sovereignty. “We’re concerned that the consequences of entering into some of these financing arrangements will be detrimental to their long-term sovereignty,” she said. Australia also remains the largest donor to PNG, but Australia’s aid to PNG performs badly in terms of its efficacy and accountability. Pryke said it was risk for Australia to view China’s rising presence in PNG solely as a threat. But there are growing concerns over how aid is delivered. 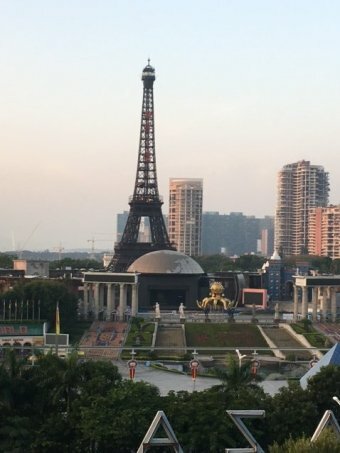 China’s approach to aid – by engaging directly with the political elites – is already undermining the weak institutions that countries like Australia seek to work through, Pryke said. “The way countries like China go straight to the ministerial level – they come in with few strings attached and do whatever the minister wants – that really undermines the strategic planning of government agencies,” he said. Pryke said Australia needed to bring a collaborative approach to aid in PNG and across the Pacific. “I think the line Julie Bishop had was about right: recognising that other countries will be in the region, but that Australia wants to be the ‘partner of choice’,” he said. Pryke said the parliament’s review of aid was welcome. After years of disruption, the subsuming of AusAID into the Department of Foreign Affairs and Trade, the loss of development professionals inside the public service, and massive budget cuts, a re-evaluation of Australia’s aid priorities and direction was needed, he said. From 2012 to 2021, the aid budget fell by 32% while all other government spending increased by 31%. Australia’s aid budget, as a proportion of national income, is the lowest it has ever been. And Pryke said Australia’s aid program was not well understood by the public. A Lowy Institute poll this year found Australians believed the government spent about 14% of the federal budget on aid funding, and should reduce that figure to 10%. Australia actually spends 0.8% of its budget on aid.